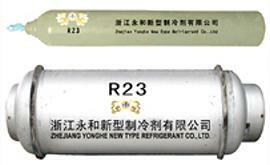 Despite having received nearly US$1 billion to destroy waste gas produced during the manufacture of HCFC-22 refrigerant, an ozone-depleting gas, China is insisting on continued payments above the actual cost of destroying a substitute refrigerant gas, according to the nonprofit groups Environmental Investigation Agency and CDM Watch. The substitute gas, HFC-23, does not deplete the Earth’s ozone layer but it is a potent greenhouse gas, far more destructive than carbon dioxide. The secretariat of the UN’s Clean Development Mechanism estimates that one ton of HFC-23 in the atmosphere has the same effect as 11,700 tons of carbon dioxide. Established under the Kyoto Protocol, the Clean Development Mechanism allows developed countries to fulfill their greenhouse gas emission reduction obligations by investing in projects that reduce emissions in developing countries such as China. The developed countries with Kyoto Protocol commitments can earn certified emission reduction credits that can be sold or traded on carbon markets. European countries have been the major market for carbon credits associated with HFC-23 destruction projects under the Clean Development Mechanism. But now, the European Union and the UN’s Clean Development Mechanism Executive Board are proposing to block further payments for HFC-23 removal projects, prompting China’s threat to release greater amounts of HFC-23 into the atmosphere. A request to revise existing rules for HFC-23 projects was submitted to the CDM Executive Board earlier this year by CDM Watch, a watchdog group based in Berlin and Bonn, which is sponsored by the European Climate Foundation and the International Climate Protection Initiative of the German Environment Ministry. On November 26, the CDM Executive Board decided to revise the rules governing HFC-23 destruction, saying that the current methods could lead to over-issuance of carbon credits. 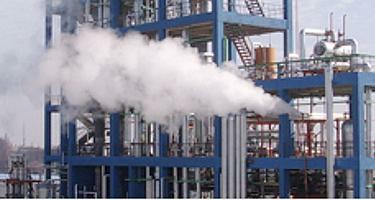 At the same meeting, the Executive Board approved 14 requests by China for certification of HFC-23 emission reduction credits at various facilities. The submission provides evidence that manufacturers are “gaming the CDM system and undermining carbon markets by producing more potent greenhouse gases just so they can get paid to destroy them,” according to the London-based Environmental Investigation Agency, which worked with CDM Watch to expose the misuse. The CDM Executive Board’s decision came just days after a European Commission proposal to ban the use of HFC-23 and the greenhouse gas nitrous oxide from credits under the EU Emissions Trading Scheme as of January 2013. The commission says it proposed the ban to protect the integrity of the Clean Development Mechanism. “The CDM has helped reduce compliance costs for the EU with its targets under the Kyoto Protocol, facilitated some technology transfer to developing countries and has extended the carbon price signal far beyond the EU,” the commission wrote. But industry players with a stake in HFC-23 and nitrous oxide projects have mounted an aggressive campaign to discredit the CDM Executive Board’s decision and sabotage the EU’s proposal. In early December, Chen Huan, the deputy director of the China Clean Development Mechanism Fund, joined the International Emissions Trading Association and other European carbon traders in criticizing the EU’s proposal. He claimed that developed countries were pushing for emission reductions without offering aid. 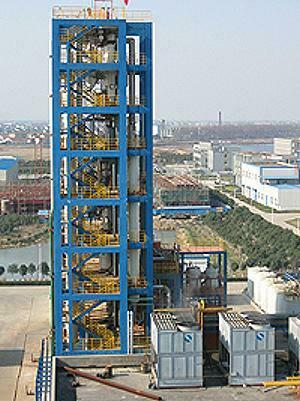 Huan warned that in the absence of the Clean Development Mechanism, Chinese HCFC-22 manufacturers might start releasing HFC-23 into the atmosphere again. China recently rejected attempts to help developing countries abate HFC-23 emissions through the Montreal Protocol, which governs substances that destroy the ozone layer. At the 22nd Montreal Protocol Meeting of the Parties in Bangkok November 8-12, China and India refused to allow discussion of a proposal to use the Montreal Protocol’s Multilateral Fund to pay for destroying HFC-23 emissions not currently covered by the Clean Development Mechanism – over half of all HFC-23 emissions. “The insistence that developed countries must continue to squander billions on fake offsets that actually increase production of greenhouse gases is irrational,” said Fionnuala Walravens, with Environmental Investigation Agency. Annually, more HFC-23 is vented into the atmosphere than is destroyed through Clean Development Mechanism projects. Almost 90 percent of these rogue HFC-23 emissions are estimated to come from China, which has failed to use any of its Clean Development Mechanism windfall to destroy HFC-23 at its non-Clean Development Mechanism facilities despite the modest cost of doing so. With a 65 percent tax on Clean Development Mechanism projects, the Chinese government has already received enough money to fund all HFC-23 destruction for decades. By 2012, China’s Clean Development Mechanism Fund will have received over $1.7 billion from HFC-23 taxation – or enough to fund the actual cost of HFC-23 destruction in China for almost 40 years. The estimated annual cost of directly mitigating all global HFC-23 production is just $60 million. More than 70 percent of all certified emission reduction credits issued to date have come from HFC-23 and nitrous oxide projects, mostly in China and India.